After a day spent exploring Box Elder County, after you’ve checked out the Spiral Jetty, Golden Spike Historic Site, Bear River Migratory Bird Refuge, or hiked the Wellsville Mountains, head to Crystal Hot Springs for a rejuvenating soak in their hot mineral pools and spend the night under the stars in their family-friendly campground. Crystal Hot Springs is 12 miles north of Brigham City in the town of Honeyville, UT. It has been run as a commercial enterprise since the beginning of the 20th Century. Before that the area surrounding the hot springs was a common gathering spot for the Shoshone-Bannock Native American tribes. Once a year they would gather at the springs and share stories and history of their ancestors. The building of the Transcontinental Railroad in the mid-19th century saw the construction of cedar tubs by Chinese laborers of Central Pacific Railroad. Numerous railroad workers stopped over to soak and the recover in the warm mineral water. In 1901 the springs were established as a business. During World War II President Roosevelt, a huge advocate of the healing abilities of mineral hot springs, started a rehabilitation program for wounded veterans. During the war buses brought hundreds of soldiers to the spring. Today Crystal Hot Springs is still busy and on your visit you will find the pools filled with families and travelers. Crystal Hot Springs is unique in that it sits at the convergence of a hot spring and cold spring. The hot spring ranges in temperature from 120-134 degrees F and holds the highest mineral content found in the United States. Every five minutes over 8,000 gallons of hot water makes its way to the surface and in every 24-hour period nearly 900,000 pounds of mineral comes with it. The cold spring is only fifty feet from the hot spring. Its temperatures range from 65-75 degrees F and this spring releases over 9,000 gallons every five minutes or 2.6 million gallons each day. 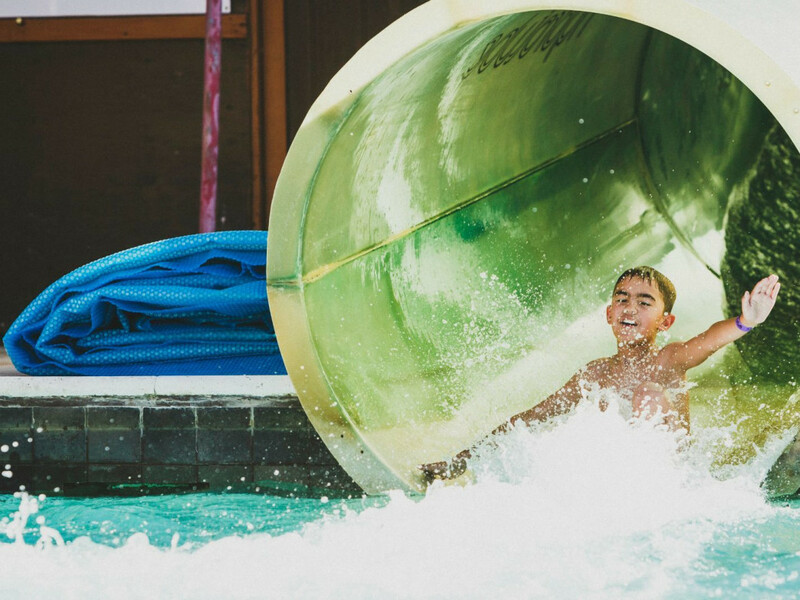 The pool area at Crystal Hot Springs consists of three jetted hot tubs, a soaker pool, lap pool, Olympic-sized pool and two 360-foot water slides. 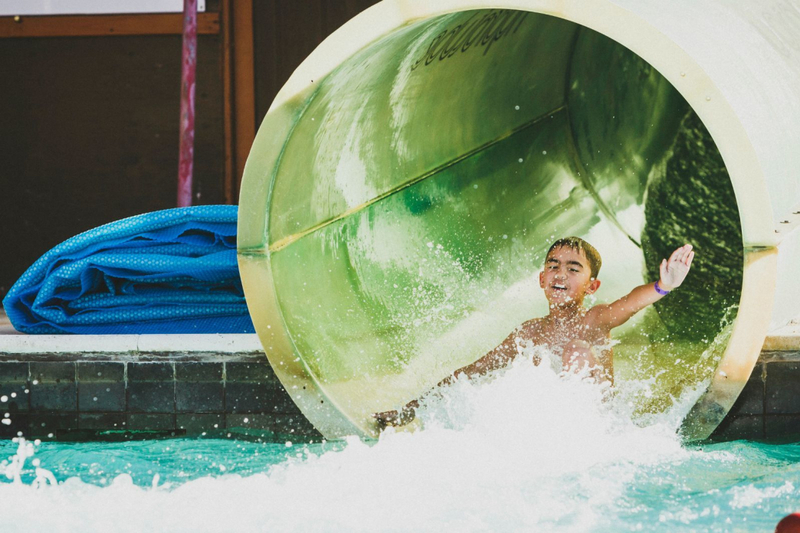 The combination of water from the two springs is used to fill all the pools except the slide pool. A large stone lodge at the entrance provides changing rooms and meeting spots. On the far end is a sand volleyball court. 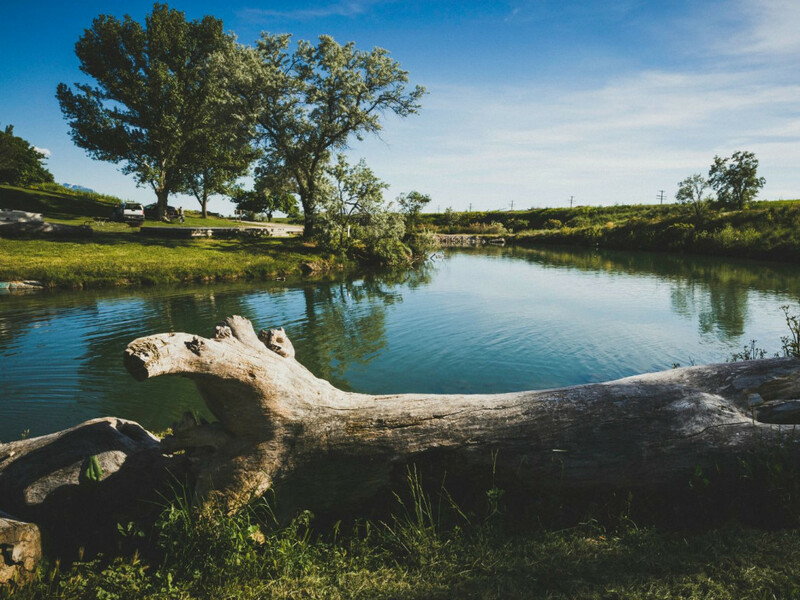 Surrounding the pools you will find a beautiful grass-covered and tree-lined campground that has full RV hook ups and is suitable for tents as well. Over 100 sites are available. 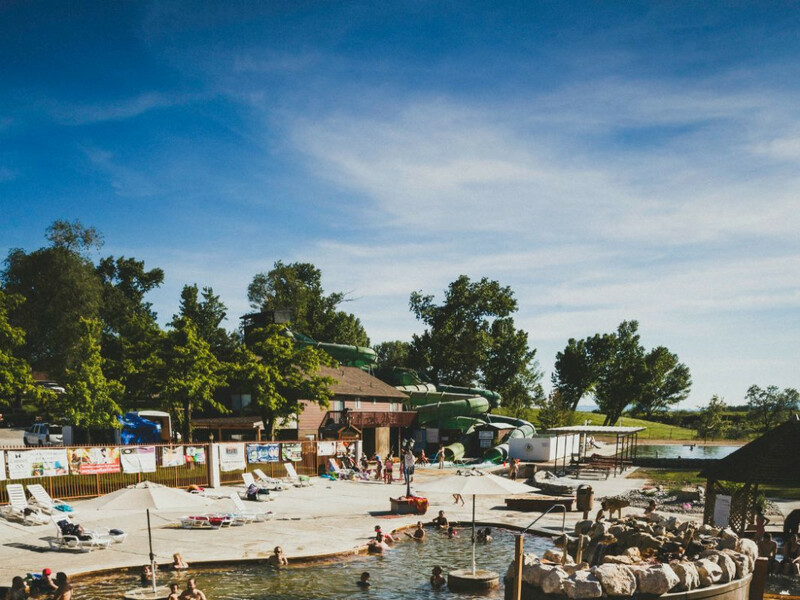 The campground offers fire rings, water, restrooms with flush toilets, showers, and laundry equipment. On the west side of the campground they also have a beautiful carp pond that is a blast to fish. Try chumming the water with breadcrumbs, then bait your line with bread and throw it into the mix and hold on. You’ve never had a fish bite like this. At the end of your day of exploring the surrounding area, hiking, and adventuring, nothing beats submerging your body in the soothing warm waters Crystal Hot Springs has to offer. It’s relaxing. It’s comforting. It’s unforgettable. People looking for a way to relax during vacation have come to the right place. It’s also a nice break for families, and with the campground right there it’s a perfect spot to rejuvenate for the next day’s adventures. Hours of operation are different and apt to change at any time. Please check out www.crystalhotsprings.net for more information on hours and camping.